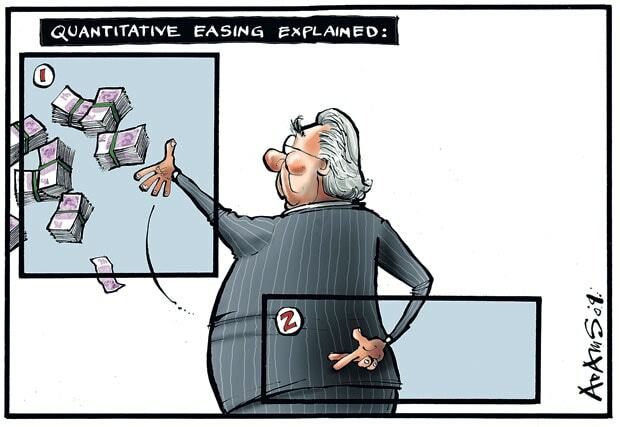 Quantitative Easing ( known as QE 2 amongst friends) is coming this quarter. In my opinion, it’s being priced into the markets already. What is it? 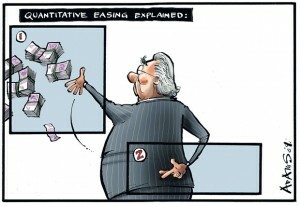 A scheme by which the money supply is increased and hopefully starve off deflation and boost the economy. Sorry, I’m not buying it. This week is the 3rd Quarter 2010 review and 4th Quarter preview. If you go back and rewatch my July video (July Video) I stated I thought the 3rd quarter would be up and it definitely was. Dow Jones + 10.27% for the 3rd Quarter and S&P + 10.72%. Of course, these are unmanaged indexes. The markets were way down at the end of the last quarter, so this brings the indexes positive for the year +3.5% for the Dow and +2.3% for the S&P 500. 4th quarter? I think things will continue to be up, but the important thing is to ensure you have the right allocation to equities in case I’m wrong. I think the year will end positive for the equity markets. Listen to my 4th quarter preview video for more analysis and 4th quarter action items. “More Proof That Our Leaders are Clueless…”. I’m sure I’m quite that pessimistic, but I’ve been persuaded by the side of the argument that the additional cash reserves that will probably be released into our system will simply be held by the banks and not accomplish what it’s intended. I’m pretty unimpressed with the Fed.